Two vivacious, happy friends enjoying the Na Lima Hana Charity Artists' Festival sponsored by the Hilton Hotel Waikoloa, Hawaii. 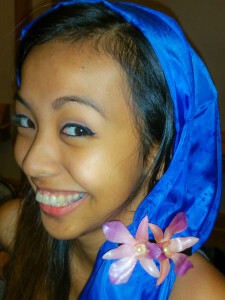 Elvie Cacho is modelling the colorful blue silk scarf adorned by my new combo design that makes no holes in delicate fabric. 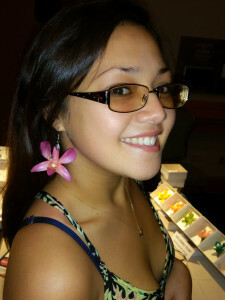 Kiara Martinez is sporting my pink dendrobium whole flower earrings. 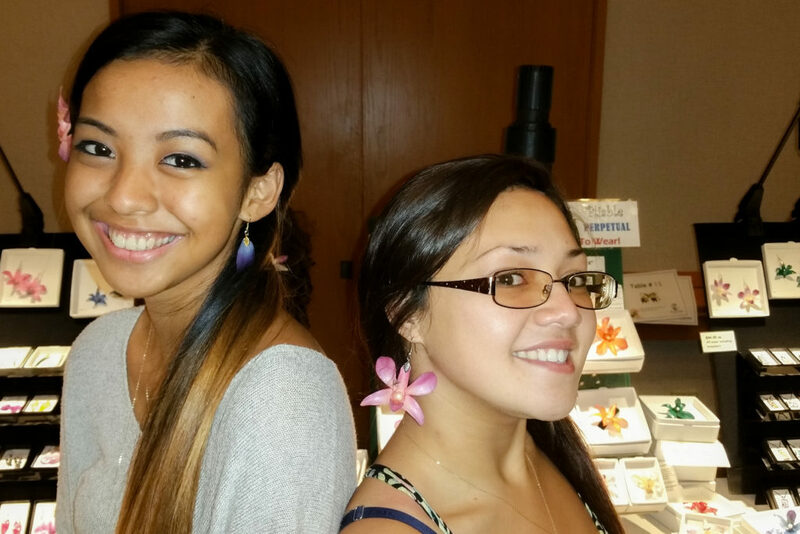 Not to be outdone, in the picture of them together, Elvie is wearing my ever popular orchid petal earrings in blue.